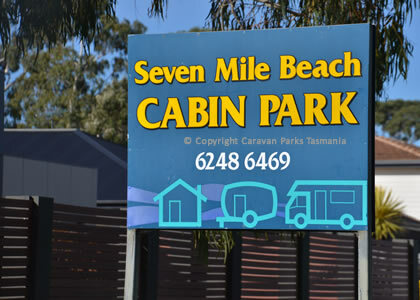 The Seven Mile Beach Cabin and Caravan Park offers beachside holiday accommodation at Seven Mile Beach, just 25-30 minutes from Hobart. Enjoy the relaxed beachside atmosphere, friendly service and affordability of this peaceful holiday park. 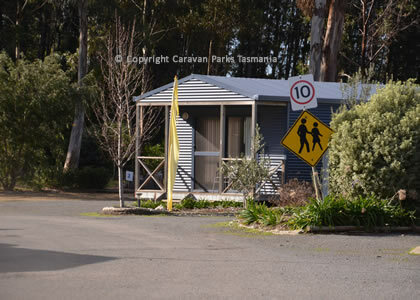 Seven Mile Beach Cabin and Caravan Park is ideal for families and groups. 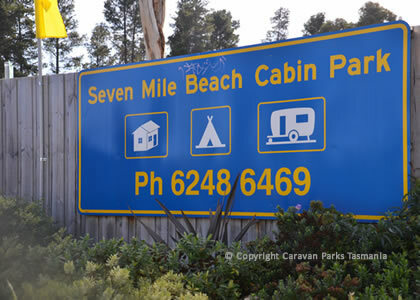 Seven Mile Beach Cabin and Caravan Park provides several accommodation choices to suit all tastes and budgets, from un-powered tent sites to self-contained cabins. 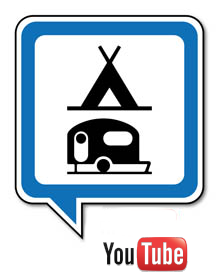 This spacious caravan park features 2 excellent amenities blocks, a large self-catering kitchen, internet and dump point,undercover barbeque area for the use of all guests. 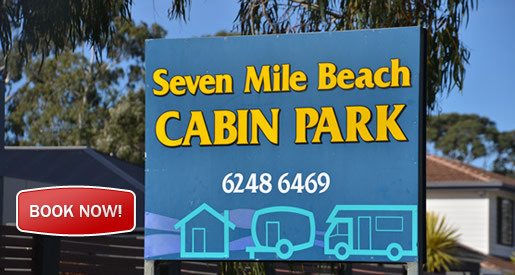 Seven Mile Beach Cabin and Caravan Park has everything you need for an enjoyable holiday. From this park visit famous Tasmanian landmarks including Salamanca markets (bus shuttle from park), Port Arthur Historic SIte, Historic Richmond, Mona Art Gallery , Zoo Doo wild life park , Mount Wellington, Battery Point - or simply stroll, ride or jog along one of Tassie's favourite beaches. Seven Mile Beach is a popular beach side suburb of Hobart, located app. 30 minutes drive to the Hobart CBD or just 10 minutes to the Hobart Airport. It is the location of the Royal Hobart Golf Course, and is also close to the Tasmania Golf Course and Lanherne Golf Course. Seven Mile Beach feautres magnificent beaches and is safe for swimming.